On May 14th the world lost renowned theoretical physicist the Stephen Hawking. We would miss him for his great determination, for his willingness to defeat the odd and be the legendary! Sir Stephen Hawking will forever be known to us as the galaxy’s unlikely superstar. He has shown us the way to live life with his relentless drive, positive attitude and unquenchable zest to achieve the best, in spite of all the odds. People, who have been around this brilliant mind that was trapped in the failing body used to say that he was a stubborn man! A man of the miracles! Not a single person could hear any complaints or could notice any signs of self pity from the great global scientist, while he was exploring the universe with his intelligence or was decoding the intrigued cosmic horizons of millions of stars in the galaxy through his best seller books. Sir Hawking has also been the pathfinder for so many people, struggling to live every second of life. Experts say that the hallmark of the scientific intelligence is to explain complex principles in jargon free language to the common man and this could only be achieved by first understanding it well. As cautioned by Albert Einstein, “you can’t explain it simply, unless you understand it well enough!” Accordingly, Sir Hawking’s ability to explain the most complex theories of physics in a very simple language to be easy to ordinary mortals can be noted through his books, The Brief History of Time, A briefer history of Time and The Universe in a Nutshell.Through his books, he always wanted to inspire the next generation with the true wonders of universe. Moreover, he was the strong exponent of the scientific democratization. Although, his scientific achievements were truly remarkable; he was more appreciated against the backdrop of ALS, a fatal neurodegenerative disorder that he was suffering from 1963, when he was just 21 years. While he was told that he would have only two years to live, he managed to present cosmology as one of the most compelling scientific subjects. 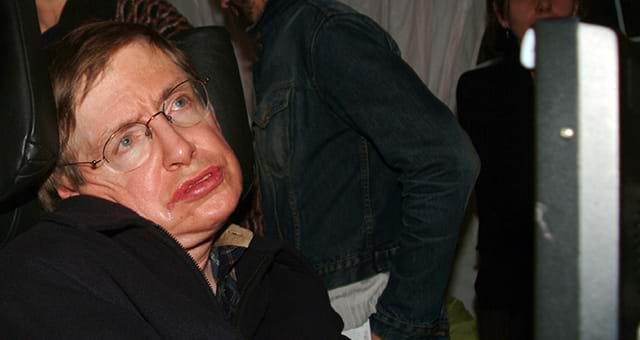 Although scientists all over the world are trying to delay the progression of devastating motor neuron disease, that has so far been unstoppable; Sir Hawking has shown a real example of apotheosis of the human spirits by living each day with a positive attitude and wisdom to reach to the great height of success. But, does everyone suffering with ALS live like Stephen Hawking? Well, it is being specifically highlighted that ALS is highly variable ailment and although on an average people live for two to three years post diagnosis, there are some exceptions like Stephen Hawking who can live a really long and meaningful life. Overall, life expectancy can be tuned with two important muscles, the motor neurons that are running the diaphragm i.e. the muscles involved in the swallowing and breathing; as a matter of fact, most probably people with ALS give up due to respiratory failure. In case of Stephen Hawking, his longevity is credited to the excellent care offered to him and biology of his particular form of ALS. Although the disease does not have any specific cure through conventional mode of treatment; stem cell therapy has a potential to delay the progression of neuronal death and can be helpful in retention of failing organs. Sir Stephen Hawking is just an incredible example of variability of motor neuron disease and hope for people, who have been struggling for survival.